Here is one thing I'm learning about busyness as time goes on that I think is incredibly important to discuss as 2013 really get's going in to full swing - everybody is. Being busy is not unique to certain people or stereotypes, it applies to all of us, majority of the time. So why does that even matter? Because I think we need to start taking charge of that word, get control back on our work / life balance and start using 'busy' a lot less frequently in our lives whilst getting clear on a couple of little things (me included!). "I have 3 events this weekend, a full on week at work, I have to find time for my gym sessions & yoga, 2 dinner dates and I don't even know where I'm going to find the time to catch up with my best friend I've been needing to talk to let alone find the time to hang out with my boyfriend"
Sound familiar Of course it does, because in today's fast paced, where has the time gone' world - we are all guilty of thinking, feeling, saying the above. And you know what? You're right. 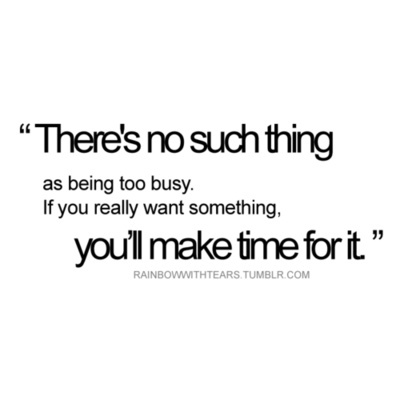 Yup, I totally agree that with all'o'that going on, you would be super busy, but how much of it is busy by choice? A-lot of it I'd say. Here's the ouch part though; sometimes, saying how busy we are is like implying the other person isn't, or worse still, that they're not a priority in your life. Not true (x a million) of course, but it's all about perception beautiful, we have to remember that. Let's define the difference before we go any further because I am as guilty as the next person in big ways when it comes to this. Busy - Busy means a packed diary, little spare time and a tonne of fun stuff mixed in with the not so fun stuff. Perfect example is working full time, but making sure there is lot's of social fun going on during the week and weekends with lot's of exercise thrown in for good measure. Busy makes me feel good, it keeps me motivated, focused, lights my fire and ignites the time manager in me who wants to do it all whilst not burning out. Overwhelmed (doing too much) - means burn out, tiredness, moodiness, loss of control of what you want vs. what you're doing, sadness. It means complete and utter 'help me, what the hell have I done to take on so much at once and when the eff am I going to get the time to do it all". It's the "I am so exhausted, run down and truly don't have time" line you pull out from time to time. See the difference? Because it's huge. Busy should be manageable, it should light you up, not bring you down, it should inspire you, not burn you out. Make sure you're not overwhelming yourself with too much - all the time, keep your to do's in check and manage your Yes's better when you feel you're close to overwhelm. Every single week my calendar includes 5 days of full time work, 1 night volunteering, 4-5 gym sessions, 1 yoga class and blogging. It's my choice though and I have to make sure that doing all of this whilst taking on too much other 'stuff' doesn't turn me from good busy, in to tired and overwhelmed. Keep it in check sista'! "I'm so busy, I'm never going to find time to fit all of this in"
How did you immediately feel? Did you get taken back to a time when you have actually uttered those words? (I did, and it was as recent as last week). Did it remind you of how stressed you usually are when you say it? How overwhelming it all feels? How you really believe you won't actually fit it all in? "Sure I have some stuff going on right now but I am managing it beautifully, will get it done, I always do, and I am blessed I even have the opportunity to live the life that I lead"
Now how did you feel? Did you smile? Did you believe it? You should have, because it's true. Simply changing our words can change our lives. I always remember whenever I'm going through a stressful time the saying "This too shall pass". It does, it always does, so remember next time you're feeling you're about to utter those negative busy words, switch it up - be grateful, remind yourself you will get through it, because you always do. You better believe it honey, because we do. We control our days, our weeks, our months, our years. We control our lives, hell, we control our universe. How many times have you referred to your crazy schedule or busy week as something beyond your control? Like it owns you? 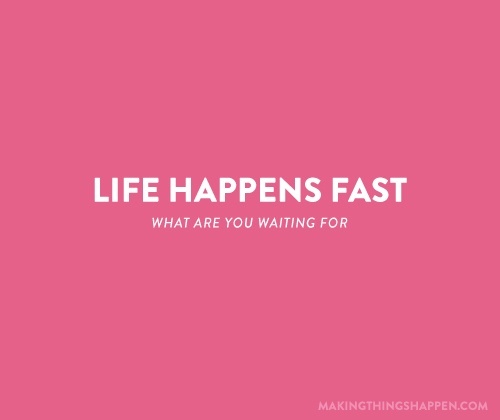 Want to know something super powerful and true? It doesn't. You choose to work where you work, say yes to what you say yes to, give up what you give up in order to appease other people. YOU are choosing what you are filling your life with. Don't fill it with s.h.i.t that you can't even remember how you let in to begin with... schedules you don't like (hello early morning starts, late night finishes), negative people and events you really don't even like attending. Make it count, make it bright & make it YOU. Negotiate better working hours with your boss and if need be, get a new job. Find events you'd actually love to attend and start taking the positive amazing, good soul filling friends you have in your life along for the ride. + Stop saying "I'm busy" & start saying "I'm grateful for the fun and fulfilling life that I lead"
+ Make time for my beautiful family & friends whenever they need me. Not ever feel or be too busy that I can't fit them in. + Fill my life with what I WANT to fill it with, not let overwhelm creep in and let busy take my life over. + To make time for me, and continue to nourish my mind with positive words and books, my body with whole and nutritious food and my soul with choosing love everytime. + To live, with fulfillment, control over my life and days that contain my favourite things. Over to you now ... What are some of your own personal pledges for 2013 now we have cleared up that we're not as busy as we think we are? I'd love to hear it in the comments!